Previously on Watt’s Up? 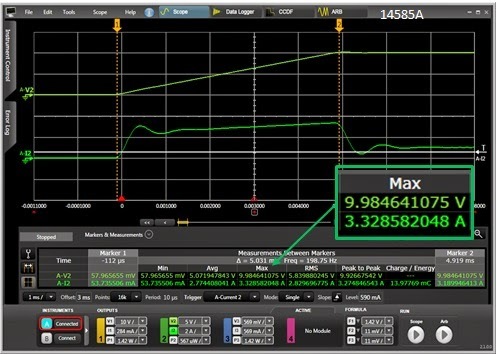 a colleague wrote about how the current limit setting affects a power supply’s voltage response time (click here to review). 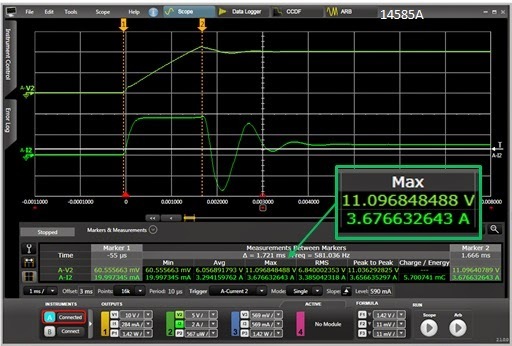 In this posting he clearly shows how a low current limit setting can greatly slow down the output voltage turn on response time when powering up your DUT. 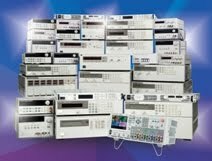 While this is generally true and good advice, especially for basic performance power supplies, there are additional things to consider when working with high performance power supplies models, as you will see. Many basic performance power supplies tend to have larger output filter capacitors in order to achieve lower output noise performance. A disadvantage of having a large output capacitor is that it slows down the output voltage response speed of the power supply. Basic performance power supplies can have turn on response times on the order of a 100 milliseconds. High performance power supplies operate by a somewhat different set of rules. In comparison to basic performance power supplies they typically have much smaller output capacitors and they are designed to have output turn on and turn off response times on the order of a millisecond or less. However, absolute fastest is not always the best and that is why fast, high performance power supplies also usually incorporate an output voltage slew rate control as well. This allows you to optimize the output turn on and turn off speed for your particular application. This lets you take advantage of the faster output speed you have available, without it being overkill and cause other problems. To illustrate, the turn on characteristic of our N6762A power supply was captured when powering up a load consisting of a 1,200 microfarad capacitor in parallel with a 10 ohm resistor. The N6762A was set to 10 volts and its voltage slew rate set to maximum. This was captured using the N6762A’s digitizing voltage and current readback together with the 14585A software, shown in Figure 1. The vertical markers have been placed at zero and maximum voltage points of the turn on ramp. The peak inrush current reaches 3.7 amps and the peak voltage overshoots to 11.06 volts, 10% over the 10 volt setting. The overshoot is a result of the power supply crossing over into current limit during the ramp up and allowing the voltage to rise to 11.06 volts before the voltage control loop regains control to bring the output back down to 10 volts. It also takes a little while for the voltage to settle after the peak overshoot. Both the overshoot voltage and peak inrush current can be problems when powering up a DUT. These occur as a result of having too fast of a voltage slew rate when powering the DUT. To address the problem we then set the N6762A’s slew rate to a more acceptable value of 2,000 volts/second. The turn on voltage and current were again captured and are shown in Figure 2. As can be seen the voltage overshoot is eliminated and the inrush current has been reduced to a more moderate 3.3 amps. So in closing high performance power supplies have a significant advantage in their output response speed, in comparison to basic power supplies. And while faster is usually better, absolute fastest may not be best, and this applies to the output response time of power supplies as well! But by having the ability to set the output slew rate on high performance power supplies gives you the ability to optimize its speed for your given application, providing for the best possible outcome possible! If you need help to properly write a coursework, this website will help you. When is 64,000 points too many?